Looking for new ideas to connect dispersed employees? Learn how you can better connect your employees to one another, alongside your company purpose, mission and values, to keep everyone marching towards the right goals. 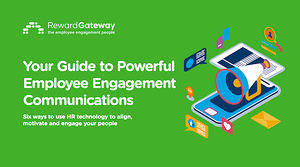 If your organization is anything like Reward Gateway and you have offices in different countries, in multiple timezones and packed with talent from diverse backgrounds, then you know the challenges of helping your offices feel connected. Each location can have its own culture, but you may have to work a little harder to make global culture feel just as impactful to those you may not see every day. Over the years, we’ve had a lot of experience with connecting our people, with eight offices in five countries, and we wanted to share some of these ideas with you. We love having a reason to celebrate in our office – and trying new foods of course. 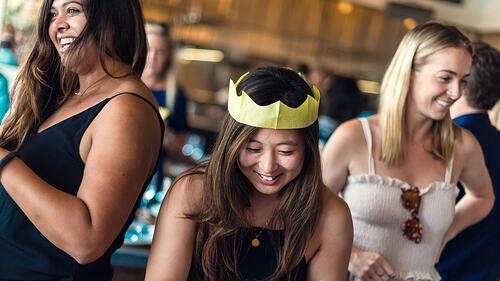 Our experience managers have taken on the task of integrating holidays from other offices into their own. So far this year we’ve celebrated Pancake Day, the kickoff of Bulgaria’s wine season over Valentine’s day and shared each country’s favorite chocolate. All you need is a little idea-sharing and a calendar to make things happen – planning your events ahead of time will not only save you time but help you collaborate with the other offices in your company. Everyone felt like they learned or tried something new, helping us improve the employee experience with employee feedback. 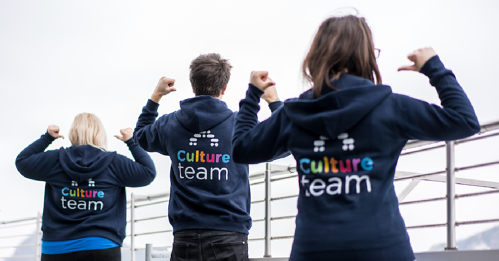 Does your office have culture champions? The most important element while creating a team of champions is making sure there is representation from every office. You can nominate members or ask for volunteers that are willing to set aside some time at least once a month to work with their peers located around the globe. These conversations can be centered around events, communications and activities that will happen in every geo. Your champions are in charge of creating excitement for the activities and getting the word out to their local colleagues. The group can also play a role in gathering and communicating feedback to leadership. Your champions can take form as a culture team or as experience managers, the name isn’t too important as long as they are championing a connected culture. It doesn’t have to be all about work, work, work. Allowing some time to connect about topics outside of work deepens connections among your people. At work, we are all busy but prioritizing asking someone how their weekend was will tell you about their hobbies, family and even travels. Make a goal for yourself and try to set aside a few minutes during your meetings to socialize with your colleagues, especially those that you don’t normally see in person. You may be surprised that it encourages expression and actually benefits productivity. At Reward Gateway, employees can head to our employee engagement platform for their daily dose of success. Employees can find announcements, moments of recognition and company targets being smashed, all front and center. Making wins visible to everyone creates a celebratory atmosphere where colleagues, no matter what office they sit in, are all steering the boat in the same direction. Another way to celebrate your people is by taking advantage of upcoming holidays or special moments. Our Experience Managers use Signagelive, a technology that lets you produce video messages and push them onto large screens, to recognize birthdays, anniversaries, as well as other celebrations to increase visibility. We keep events and initiatives rolling on the screens. This keeps the content the viewers are receiving current and exposes them to the things happening in every office to reinforce celebrations and connections. How do you get employees to communicate? We recognize that continuous communication removes office silos, allows our employees to keep in touch and fosters better connections. Even if you aren’t communicating directly with a colleague at the time, you can take advantage of communications to stay in the loop. Maybe you decide to join a Slack channel created by another office or if you have an employee communications platform, you can stay up to date with posts made by colleagues in different countries. This allows the reader to feel part of their organization outside of their office and who knows, you may become privy to a new idea or opinion you wouldn’t have had access to before. Time differences always get in the way of busy schedules when collaborating across offices but it is important to make sure that there isn’t just one person bearing the burden of late night or early morning meetings. You want your employees to be excited about working with their peers near and far, so if it is possible to trade off the inconveniently-scheduled meetings, the person on the other end of your call will be more than appreciative. Connecting your global workforce isn’t something that happens overnight, but with the right tools in place and a lot of collaboration, you will begin to nurture your office culture and foster deeper connections. 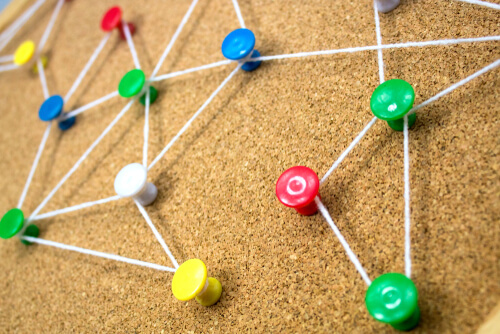 I’d love to hear some of the ways you connect your employees in the comments section below!